This post is the sixteenth in a multi part series on swamp cooler repair, maintenance, and replacement options, like refrigerated air conditioning. If you haven’t read parts 1 – 15, I recommend you do before continuing. Uses more electricity – Swamp coolers use the power of evaporation to do their cooling work, which means they’re far more energy efficient than refrigerated air systems. However, modern refrigerated air technology has come a long way in efficiency, and these systems aren’t nearly the energy hogs that they used to be. Higher initial costs – Since refrigerated air systems are more complex and harder to work with than swamp coolers, both the units and their installation are usually quite a bit more expensive. This is where the property value sword cuts both ways. Yes, a refrigerated air system probably will add value to your home, but the reason it’s considered a desirable feature is the high initial cost. All in all, refrigerated air conditioning is definitely a great way to go. There’s a reason why so many New Mexico homeowners have converted from evaporative systems. However, it’s up to you whether the advantages of these systems outweigh the disadvantages in your particular case. 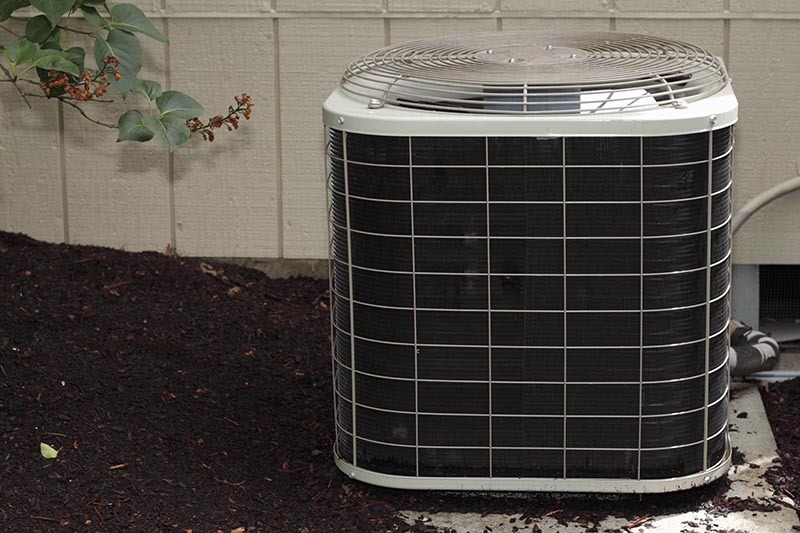 While you’re deciding whether to replace your old swamp cooler with a new one or replace it with refrigerated air, you might also want to consider the possibility of adding a heat pump to your system. Heat pumps work using the same refrigeration cycle technology found in refrigerated air conditioning systems: refrigerant, compressor, condenser, expansion valve, and evaporator. However, in a heat pump, the expansion valve can be reversed. When you flip the valve, the high side becomes the low side, the evaporator becomes the condenser, and the condenser the evaporator. Check back soon for How to maintain your swamp cooler, when to replace it, and what to replace it with, part 17. In the meantime, check out our page on refrigerated air conditioning.